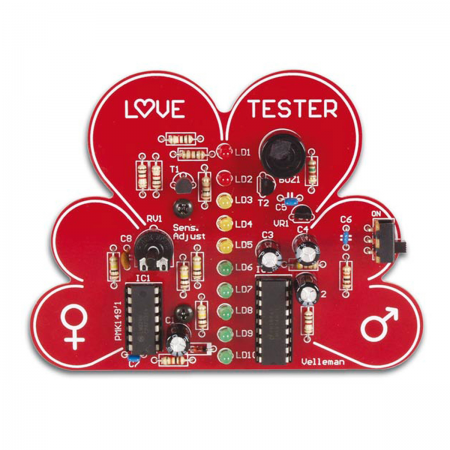 Test your love life! Each partner holds one end of the heart pcb, then join hands and watch the meter go! It's fun for parties or among friends!